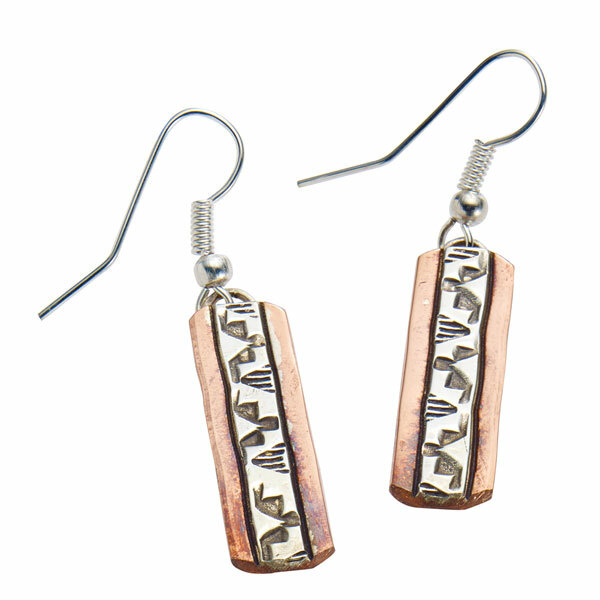 Handcrafted by Navajo artist Wylie Secatero, a third-generation silversmith, these one-of-a-kind pieces are hand forged pure copper overlaid with sterling silver. The silver is hand-stamped with the artist's own designs, based on traditional Navajo rugs. Cuff bracelet (HX3652) is 3/8" wide, 2½" across. Earrings (HX3662) hang 1 5/8". All are oxidized and hallmarked WS. Sold separately.